FAYETTEVILLE, Ark. – Geffrey Davis, assistant professor of poetry in the University of Arkansas’ Program in Creative Writing and Translation, is the first U of A professor to win a highly selective Whiting Foundation Grant for Public Engagement. The Whiting Public Engagement Program is designed to empower early-career humanities scholars who embrace public engagement as part of the scholarly vocation. The foundation awarded Davis one of seven $50,000 fellowships for his collaborative project On the Row: Prison Story Project. He will also receive up to $10,000 in material and support costs. The Prison Story Project started in 2012 and involves guest artists working with incarcerated men and women in Arkansas to explore the art of storytelling through writing, reading, poetry, mask making, song writing and life mapping. The stories they told have been collected into several volumes of presentations, most recently as On the Row: Prison Story Project, featuring creative writing and storytelling from men on death row at Varner, a supermax prison in the Arkansas Delta. Two of the inmates who participated were executed in 2017. Their stories are among those that became the scripted performance of On the Row: Prison Story Project, a powerful exploration of the lives of prisoners before and after their convictions. Initial performances of On the Row: Prison Story Project in and around Varner prison have created a rare bridge for the accounts of those inside to reach the outside world. Davis is the Prison Story Project's educational advocacy director and writer-in-residence. He will use the Whiting Foundation grant to bring the performance to six Arkansas counties that are home to major prisons or have otherwise been deeply affected by the realities of mass incarceration. The performances will be held in Sebastian, Garland, Miller, Polk, Hempstead and Philips Counties. Times, locations and more event details will be announced at a later date. At each stop on the upcoming Arkansas tour, the Prison Story Project will stage readings for students during the day and for the general public in the evening. Performances will be followed by discussions, giving audiences – many of whom have had their own direct and varied experiences with the prison system – an opportunity to consider difficult questions surrounding incarceration, criminality and capital punishment. Geffrey Davis is an accomplished poet and the author of the collections Night Angler and Revising the Storm. 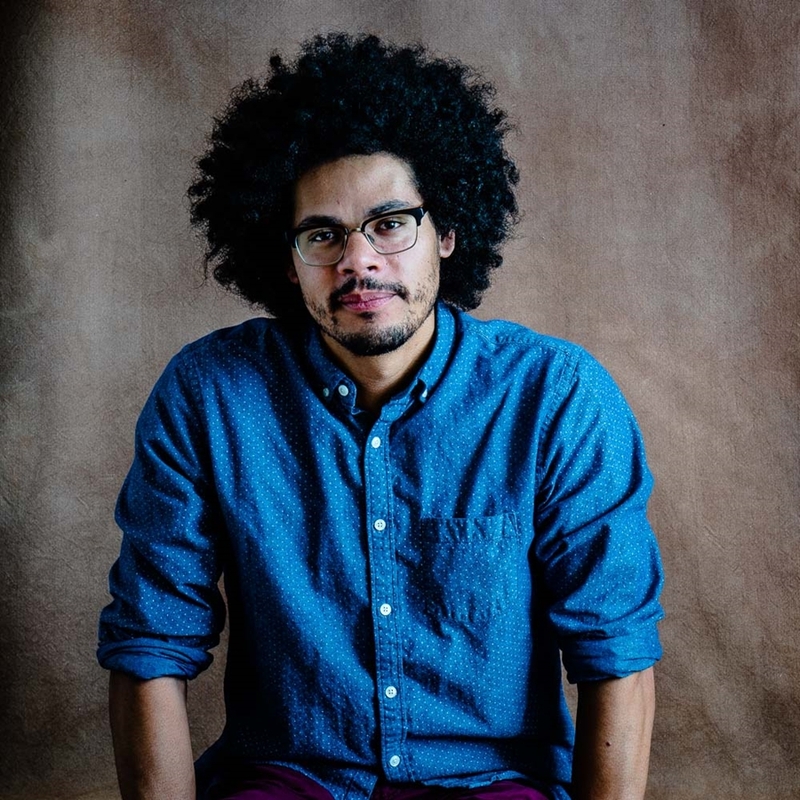 He received the 2019 Creative Writing Fellowship from the National Endowment for the Arts, the James Laughlin Award from the Academy of American Poets, the A. Poulin Jr. Poetry Prize, and fellowships from Bread Loaf and Cave Canem. His work has appeared in ​The New York Times Magazine, The New Yorker, PBS NewsHour, Ploughshares and elsewhere. A graduate of Oregon State University and Penn State University, Davis also teaches with the Rainier Writing Workshop, Pacific Lutheran University's low-residency M.F.A. program, and serves as poetry editor for the Iron Horse Literary Review. About the Whiting Public Engagement Program: The Whiting Public Engagement Program is designed to empower early-career humanities scholars who embrace public engagement as part of the scholarly vocation. Believing in the power of humanities research to enrich public culture, the foundation awards fellowships to individuals who model careful inquiry and deep contextual thinking and engage the larger community in those processes. The 2019 grantees represent a vibrant cross-section of work done today by humanists across the country. Their methods to engage the public include podcasts, community oral history projects, digital humanities, and K-12 curricula. About the Humanities Program: The Humanities Program in the J. William Fulbright College of Arts and Sciences promotes humanistic scholarship and inquiry, innovative and interdisciplinary teaching, and humanities scholarship to the wider community. The mission of the Humanities Program is threefold: to support and advance cross-disciplinary research and inquiry in the humanities; sponsor special programs that engage the university and wider public in conversation on issues that bring the humanities to bear on salient topics of our times, and to foster a strong role for the humanities in an increasingly global society. The program oversees the internal Whiting Foundation grant process. About the University of Arkansas: The University of Arkansas provides an internationally competitive education for undergraduate and graduate students in more than 200 academic programs. The university contributes new knowledge, economic development, basic and applied research, and creative activity while also providing service to academic and professional disciplines.